Lush Fab Glam Inspired Lifestyle For The Modern Woman: Enjoy Life To The Fullest With Poise Impressa. Enjoy Life To The Fullest With Poise Impressa. 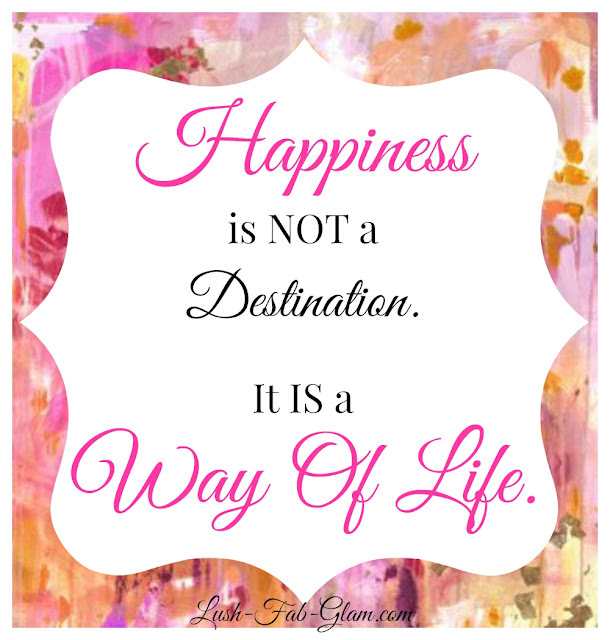 Happiness is not a destination it is a way of life and sometimes that way of life includes traveling, adventure and enjoying life to the fullest while doing the things we love. Like checking a few activities off our bucket list, discovering new places, revisiting our favorite ones and celebrating the beautiful moments with family and friends. The sunny days of spring, summer and early fall are especially rife with adventure from lazy days at the pool to relaxing days at the beach, dinner parties with friends and shopping till we drop because a girl can never have too many shoes, bags or jewelry. 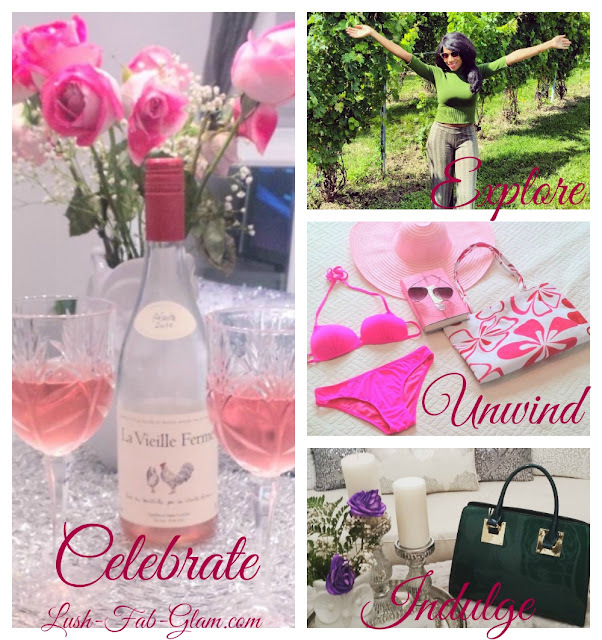 Celebrate, explore, unwind, indulge and enjoy life fearlessly. During those moments comfort is imperative and there is nothing that takes away our confidence and comfort like having an unexpected tinkle when we laugh too hard or while doing certain physical activities like dancing or exercising. It is a well kept secret among moms like me and 35 million women who experience stress urinary incontinence (SUI) also known as bladder leaks for one reason or another. Our discomfort in discussing it or fear or having those awkward moments has more to do with the fact that we feel helpless in stopping it than in the act itself. It's simply not one of the things you are told to expect to happen while you're pregnant and even after pregnancy. When it does happen it definitely catches you unprepared and off-guard at least that was the case with me. Thankfully Poise has created a revolutionary product that changes the way we view, think about and deal with bladder leaks. It is nothing short of impressive because unlike other products the new Poise Impressa does not absorb bladder leaks but rather it prevents it from happening. Wondering how it works? 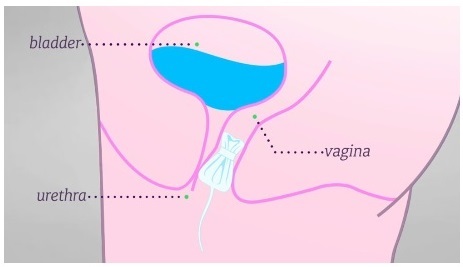 Take a look at the diagram of the female anatomy and Poise Impressa in action below. As the first over-the-counter product of it's kind Poise Impressa is small, discreet and it's as easy to use as a tampon. The best part is that rather than absorbing bladder leaks, it actually supports your bladder by stopping leaks before they occur. That is definitely impressive! This means that women everywhere can now breathe a sigh of relief and say goodbye to bladder leaks caused by a sudden urge to urinate or by normal activities such as coughing, sneezing and laughing. So go ahead explore, unwind, indulge and celebrate. Choose the way of life that allows you to be happy and not fearful about bladder leaks so that you can enjoy life to the fullest while feeling stylish and confident with the new Poise Impressa. Fab Freebie: Visit the Poise Impressa website to learn more about this amazing new product and to get your free coupon to #TryImpressa. Click on the photo below to get your coupon. **We recommend that you download the coupon for the Poise Impressa Sizing Kit first and once you've figure out the right size for you then download the coupon to try the 10 pack Poise Impressa. 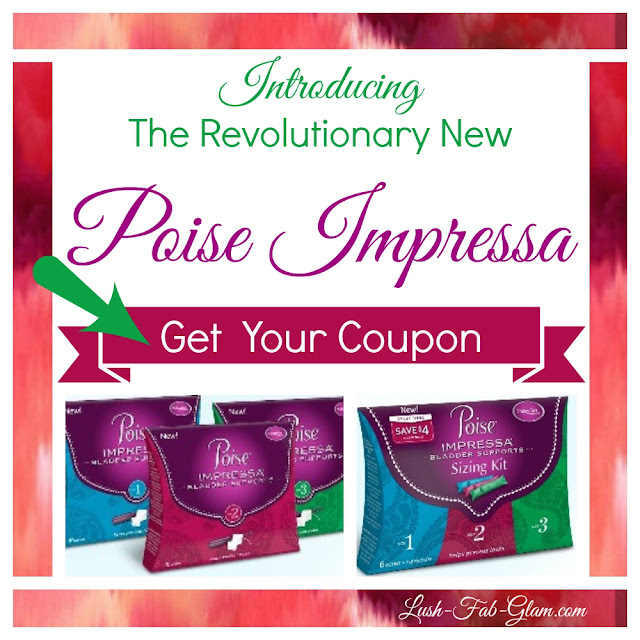 Click here to get your Poise Impressa Coupon. 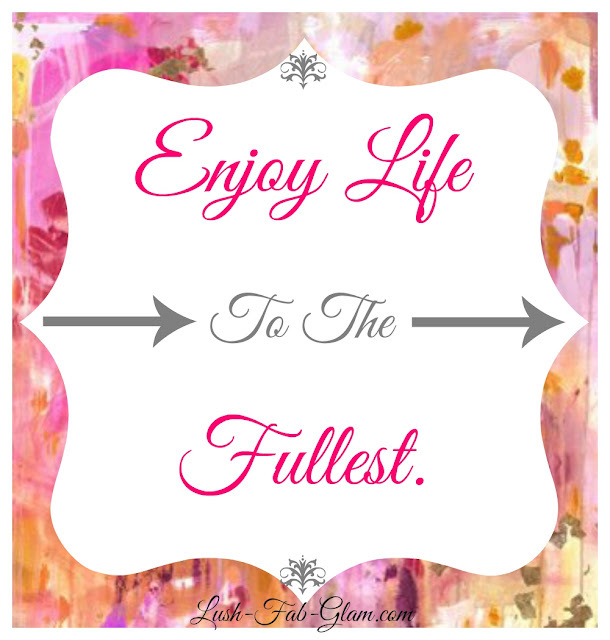 How do you enjoy life to the fullest? .Share with us by leaving a comment below. Plus share this Girl Talk post with more fabulous women so they can take advantage of the Poise Impressa coupons too. Interesting, I'm sure this will help so many! Happiness is not a state of being. It is something that comes and goes. Like digital. But depression can hang around a long time, like analog.